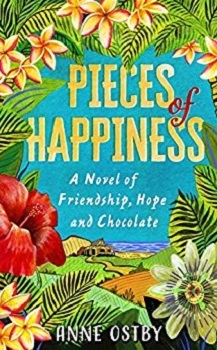 When recently-widowed Kat writes to her four old school friends, inviting them to live with her on a cocoa plantation in the South Pacific, they swap icy pavements and TV dinners for a tropical breeze and an azure-blue ocean. Leaving behind loneliness, dead-end jobs and marriages that have gone sour, they settle into the Women’s House, surrounded by palms and cocoa trees; and locals with the puzzling habit of exploding into laughter for no discernible reason. Each of the women has her issues to resolve, and secrets to keep. But together the friends find a new purpose, starting a business making chocolate: bittersweet, succulent pieces of happiness. As they embrace a new culture that views ageing so differently from their own, will they learn to accept and forgive: to discover the value of friendship, and a better way to live? ‘Pieces of Happiness’ is the latest book by Norwegian author, Anne Ostby. We join the main character, Kat on her cocoa plantation in Fiji as she invites four of her old school chums to join her. The plot is understated and gentle whilst at the same time drawing the reader into the evolving dynamic between the five ladies, along with Kat’s housekeeper, whose cameo role is insightful. There is very little that escapes Ateca and she has the ability to identify subtle nuances that are probably not apparent to the friends themselves. Kat’s story is written in the first person but we share the perspectives of the other characters in the third person. They all have the benefit of a backstory, which is written in the past tense. In contrast, the narrative in the up-to-date sections is written in the present tense. This is nowhere near as confusing as it sounds and the structure isn’t compromised. We witness many emotions as each woman in the ‘sisterhood’ struggles with their own demons and whilst in the beginning it seems that Kat’s motive is purely altruistic, it isn’t too long before we realise that she needs her friends just as much as they need her. There is a good ratio between description and dialogue as the story unfolds and I admire the author for taking women of a certain age and weaving a story around them. Heroines don’t have to be twenty five and perfectly formed. In addition, Ostby doesn’t shy away from some difficult topics and handles them with sensitivity and understanding. There are some colourful descriptive passages and a glossary at the end to help with unfamiliar words. Ostby has certainly done her homework regarding location and culture. Anyone who knows nothing of Fiji will enjoy the journey and feel they’ve been invited into Vale nei Kat (Kat’s house). This novel is multi-layered and challenging on many levels. 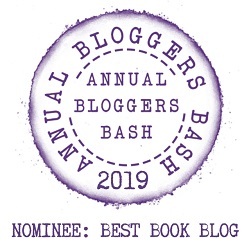 If you’re looking for an action-packed adventure, then this isn’t the book for you but if you enjoy a slow burning tale which unravels gradually, then I don’t think you will be disappointed. The overwhelming message is positive; hope coupled with opportunity, regardless of age. Preferring plots with a more pace, this probably wouldn’t have made my reading list if I hadn’t been asked for a review. I wasn’t gripped by the tale but nonetheless, I can certainly appreciate its merits and admire the work that went into producing it. Many readers will enjoy ‘Pieces of Happiness’ and therefore objectively, I award four-and-a-half stars. Anne Østby is a Norwegian author and journalist. She has written books for children, teenagers, and adults. Pieces of Happiness is her first title to be published in the United States, and is translated by one of her three daughters, Marie. She presently resides with her husband in East Timor, having lived in Denmark, Malaysia, Pakistan, Kazakstan, USA, Iran, and Fiji over the last twenty-five years. Well written! I appreciate that the author made it inclusive with her protagonist’s appearance. Not everyone’s a bombshell! I love how colorful the cover is. Great review! This sounds very good. Great review! Great review, I don’t think this one is my kind of book but I’m glad you liked it. Thank you so much for sharing your awesome post.